This is a Specialized Cablestop kit for many of the Specialized road and cyclocross bike from 2013-2017. 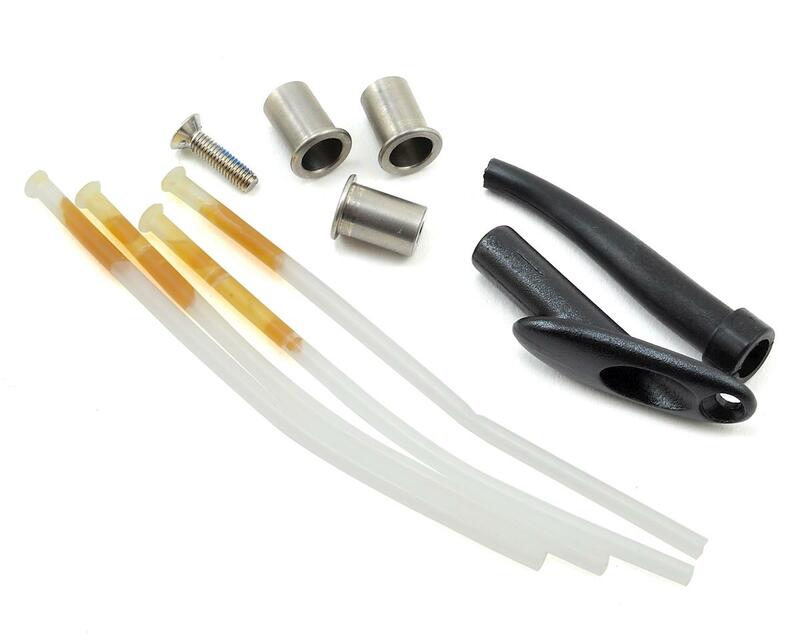 This kit includes all the pieces used to work with a mechanical shifting system. Thanks a lot for amain cycling for having this item in stock. Exactly what I needed to convert my current Di2-equipped Roubaix SL4 back to mechanical shifting. I just wish the cable stops were in black instead of bare metal to match the color of my frameset (all black S-Works). Anyway, I used a black permanent marker to paint them all black. More details of the product are needed. Hace falta más detalles del producto.